Mount Desert Island has attracted scoundrels and scandals for more than 100 years. Steady as the tide, every summer brings a rush of summer residents from eastern cities to the island and nothing thrilled them so much as a good scandal. In its heyday, Mount Desert was a wild oasis where the summercators could carry on in comparative privacy. Today, unfortunately, unlike Las Vegas, what happened on Mount Desert doesn't always stay on Mount Desert. 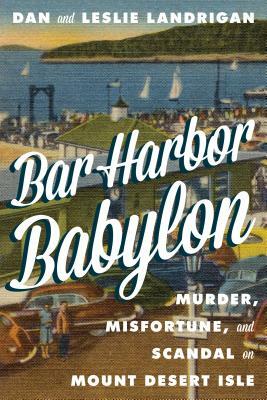 The scandals that were the talk of the picnics and outings that filled the summer visitors' days are brought back to life in Bar Harbor Babylon. Murderers, thieves, cheaters and scammers have all made their mark on the tiny towns of Mount Desert. This book will take the reader on a tour of the misadventures and misfortunes that punctuate the island's wealthy and privileged past.